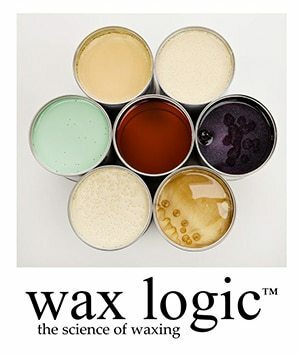 Wax logic the science of waxing wax range is a dedicated cutting edge range that brings a new level to waxing. Launched in the UK this year it is taking the professional waxing world by storm. Created for ease of use and results for the therapist , Wax Logic is the first wax that uses ” Skin Science” it Treats & Protects the skin And removes all hair in one strip with NO PAIN for the client. It is the most economic range with 12 Brazilians to 1kg of hot wax and 52 Brazilians from a single tin of warm wax!!! Unbeatable It is the first range that has ” Hot wax on a strip” as well as wax purely made from Gel for the most wax allergic clients. Created by International Wax Guru Noiren Carrigg a therapist who still waxes in her own salon , this range is MADE FOR YOU by one of your own who faces the same challenges you do. Launching the International Master wax technician one day course in London in Late November this course has 90000 therapists worldwide trained , covering all intimate waxing and art , speed waxing , nose waxing and covering hot and warm wax it will give you new techniques and make your waxing better than ever. Wax logic UK is headed up by Xubin Yuan Owner of the prestigious Ray Corcoran beauty school and the same dedication is given to wax logic so your in good hands.